Any healthy relationship needs time, communication and collaboration. You have to nurture it and give it the attention it needs. Without the proper effort, relationships are bound to suffer. The relationship between a patient and their healthcare provider is no different! Building a strong patient-provider relationship is crucial to the success of any practice. However, maintaining that relationship becomes difficult when you factor in a physician’s busy schedule and demanding documentation requirements. 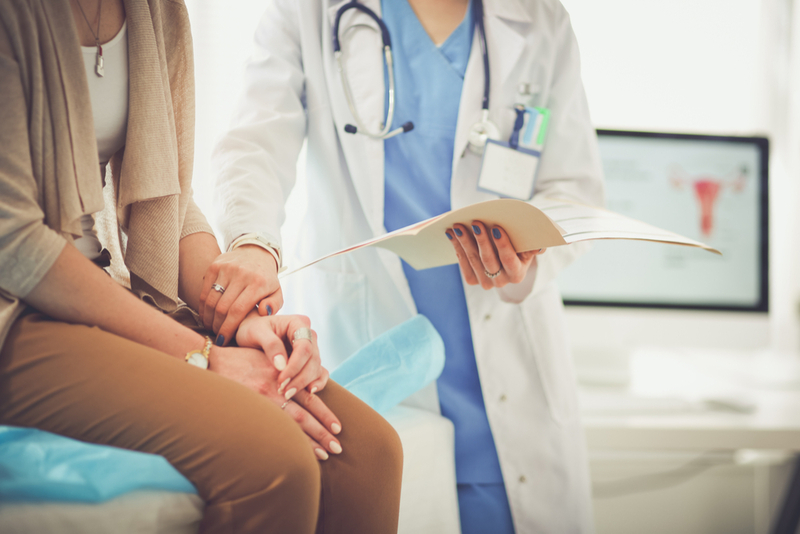 To help make sure your physicians are building strong relationships with their patients, we’ve compiled a list of six ways to maintain a healthy patient-provider relationship. Every strong relationship is backed by solid communication. It’s not just about talking to the other person. Rather, it’s speaking in a way that allows the other person to understand what you’re saying. This understanding is especially relevant for your practice. During a consultation, exam, or diagnoses, your physicians need to speak in a way that allows the patient to comprehend what’s being said. It’s no secret medical terminology and jargon can be confusing, and you don’t want a patient to feel left behind during the process. Talk with your physicians to see how they communicate with their patients. Do they take the time to explain difficult terminology? Or do they simply say what they need to say and move on? Patients are more likely to trust physicians who take the time to explain health-related issues or topics with them. Remind your physicians that they are the middleman between their patient and a diagnosis or treatment option that only a medically trained professional can understand. They need to be able to communicate with their patients in a real, simple and non-complex way. When it comes to making a decision about treatment or care, the patient should be actively involved. This will not only improve overall patient satisfaction, but also the patient-provider relationship. When your physicians are able to involve their patient in treatment or care decisions, the patient will feel like they are being heard and that their opinion is being taken into consideration. Aside from involving the patient, make sure your physicians are involving their team as well. When everyone on the team is focused on the patient, care will improve. This doesn’t mean that everyone needs to know private patient information. Instead, everyone should be on the same page and working toward the same treatment goals. This type of collaboration is necessary for excellent patient care and should always be practiced. When the team gets to know the patient and the patient is involved in the decision, the patient-provider relationship will continue to grow. At some point, a physician is going to have to deliver some hard-to-swallow news. When this happens, it is imperative to deliver this news with as much empathy as possible. Empathy is the ability to understand and share the feelings of someone else. It’s more than just saying sorry, or offering condolences. Instead, physicians need to sympathize with patients and make them feel secure. When you’re able to empathize with patients, you’re able to build trust. Taking the time to build trust with your patients is the cornerstone of the patient-provider relationship. When your patient is able to trust you and trust in your practice, you will have a much easier time communicating with them in the future. After all, no relationship can flourish without trust. Whether it’s a relationship with your partner, family, co-workers or doctor, you must have and continue to build trust. There’s a fine line between using technology to improve the patient-provider relationship and using it in a way that harms it. When used correctly, technology can play a huge role in developing and maintaining a healthy relationship between provider and patient. For example, implement a technology service that allows you to video chat with patients who are unable to leave their homes. Or, create an online patient portal that allows patients to schedule their own appointments, send messages and read more about their treatment options or care. This type of technology can be an asset to your patients and your practice, all while improving the patient-provider relationship. Electronic health records (EHR) can also help foster the relationship. EHR has many benefits, such as documentation of patient information, prescription refills, easy access to patient data and more. These features help to benefit the patient-provider relationship tremendously by improving patient care. Despite your physicians’ busy schedules, it’s important to still make time to truly listen to patients. Unfortunately, this step gets difficult when you factor in the number of patients to be seen in a day, and the time it takes to create detailed transcriptions for each one while operating within a difficult electronic health record system. So, how can your physicians maintain a healthy balance? One way is for the physician to complete the documentation after they see the patient, giving the patient the face-to-face time they need. However, this means that the physician will be burdened with overtime work that could detrimentally impact their work-life balance and influence physician burnout. This may not seem like a big deal with one patient, but this amount of detailed note-taking will add up between multiple patients. The second option, and sixth way to improve the patient-provider relationship is to outsource your medical transcriptions. When your practice makes the decision to outsource its medical transcriptions, you are granting physicians the time they need to truly listen to their patients. More than that, outsourcing transcriptions is a great way to better use current technology to improve the patient-provider relationship. Outsourcing can benefit your practice by helping you save money, solve issues with staffing, gain insightful industry experience and access speedier transcription, too. Considering outsourcing but not sure which company to trust? Choose DataMatrix Medical! By outsourcing your medical transcriptions, or EHR documentation, to us, we can help improve each patient’s experience with your practice. We can improve communication between team members through any EHR system with our highly skilled team of medical transcriptionists and medical scribes. This communication will help the team collaborate more efficiently when it comes to patient care. Easy access to medical transcriptions will make it easier for your physicians and patients to be a part of the decision making process together. Our medical scribes can understand complex medical terminology and jargon, making your transcriptions easy to read and understand—not to mention highly accurate! When both the physician and the patient can easily understand the medical documentation, care will improve. 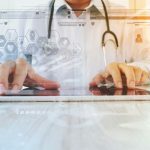 Outsourcing removes the computer from the equation, allowing physicians the face-to-face time they so desperately need with their patients. This will give them the opportunity to empathize with their patients when they need to. Plus, it gives them the opportunity to continue building trust. Similarly, when physicians don’t have to worry about detailed documentation during a patient visit, they will have time to listen to their patients. Our medical transcriptionists and scribes will take over the documentation completely. This allows peace of mind for the physician and patient. We can work within any EHR software, and fully customize our services to meet the needs of your practice. This customization will make it easier for the physicians to operate within your EHR and will make patient data that much easier to navigate. Those are just some of the ways DataMatrix Medical can benefit the patient-provider relationship! If you want to learn more, start a two-week free trial to see the difference we can in the patient-provider relationship. To learn more about the benefits of outsourcing, download our free guide, How To Optimize Clinical Productivity Through Outsourcing.